Equine Chiropractic focuses on the health and function of the horse’s neuro muscular-skeletal system. 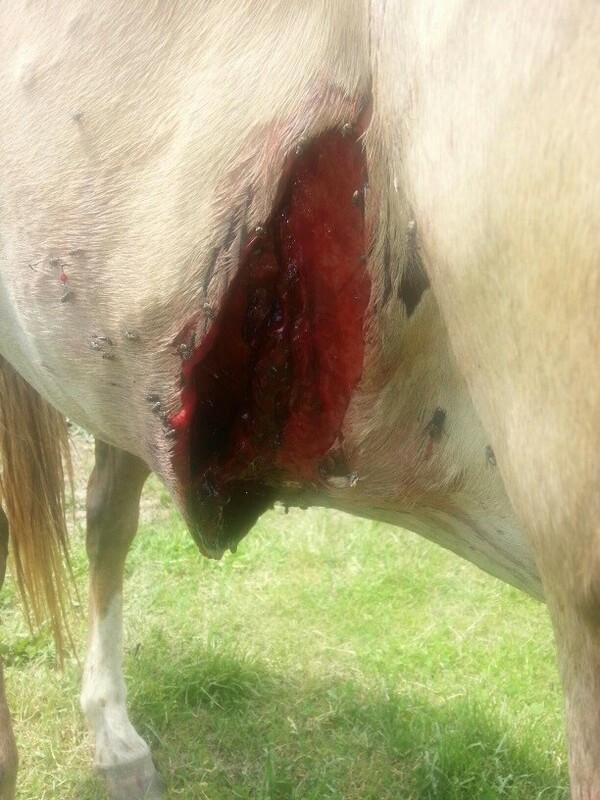 As in humans, the nervous system affects your horse’s entire body and systems. Problems in the nervous system can cause all sorts of issues, especially with regard to the back and neck: pain, stiffness, inflammation and lack of normal mobility. These issues may result from overuse, underuse, trauma or conformation. A horse with a nervous system dysfunction may exhibit a variety of symptoms (altered gait, inability to hold a lead or frame, grumpiness, sensitivity to saddling or brushing, etc.) 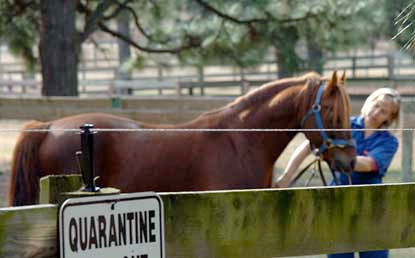 and often, even more subtle symptoms that can require an experienced equine chiropractor to detect. Dr. Tabby Moore is certified by the American Veterinary Chiropractic Association and has special interests in equine chiropractic therapy as it relates to biomechanics and lameness. She performs chiropractic work on performance and pleasure horses of all disciplines, which can lead to vastly improved performance and attitude. 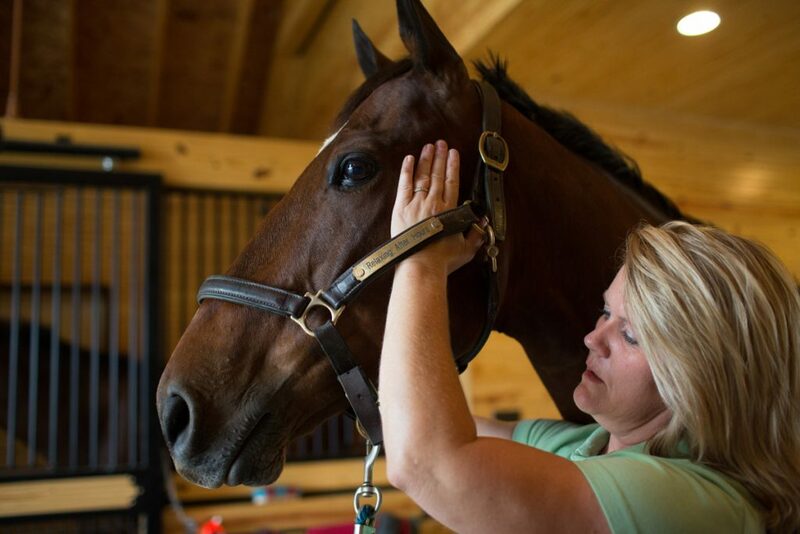 With over a decade of equine chiropractic training and experience, Dr. Moore is well equipped to evaluate your horse to determine if equine chiropractic therapy can improve his/her performance and quality of life. Many of Dr. Moore’s chiropractic patients perform at their best with periodic adjustments (every three to six weeks), while others obtain the desired results with only a few treatments. Her initial assessment can provide you with a baseline of your horse’s nervous and musculoskeletal condition.